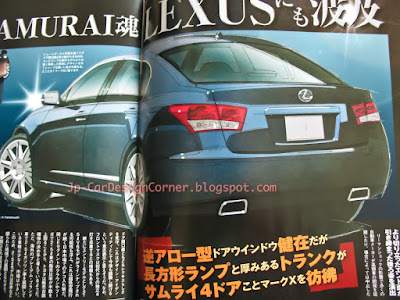 Japanese magazines have published a lot of impressions of the new Lexus GS (related posts) and the only thing that seems to be true is that it will be introduced in 2012. 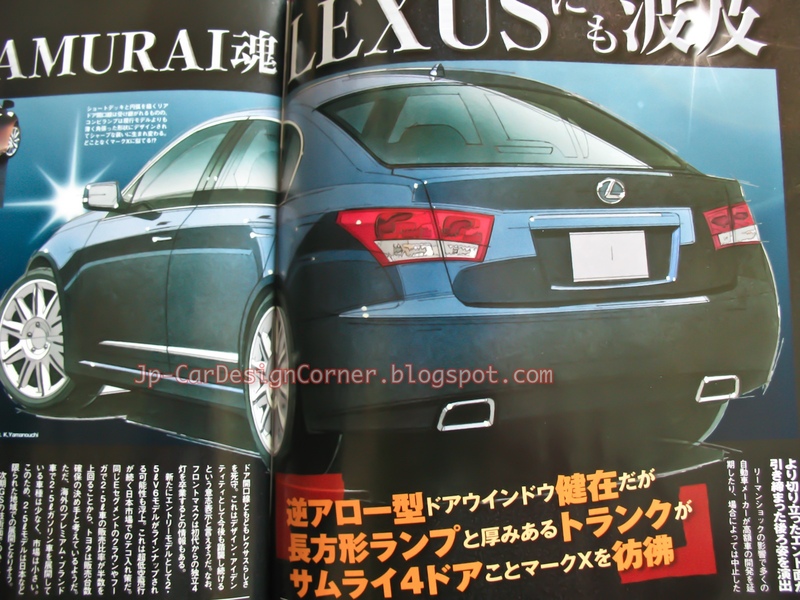 The latest rendering comes from Mag-X, which mentions August 2012 as a launch date. Mag-X is like the AutoExpress of Japan, isn't it? Vague info and fantesist renderings. Mag-X is like Autocar and BC like Auto Express IMO. Latest report about spicy Honda CR-Z!!! Honda HR-V is coming back? !